Some Nigerian youths have been crying about the non-availability of jobs in the country and this is really affecting the economy because there are more graduates in the country but limited jobs. 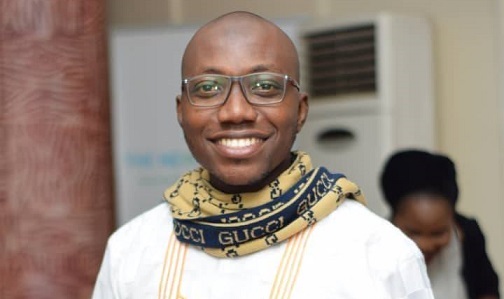 Recently, Brandafriq.com caught up with a Master Degree holder and CEO of Comagrics Global service, Ibrahim Fatoyinbo, who is currently running a crowd funding to invest in Pig Farming and he took us through his plans and the challenges some Nigerian farmers are going through. 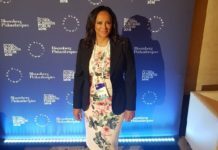 Can we get to know more about Fatoyinbo Ibrahim? 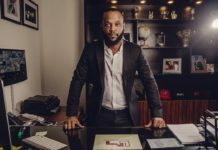 I’m Ibrahim Fatoyinbo, I am the managing partner Comagrics Global service, and the organization offers two Professional distinct services. 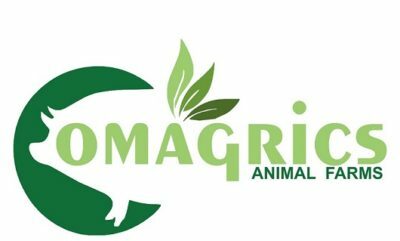 We have Comagrics farms, Comagrics animal farm is a start – up farm that specializes in animal husbandry and agriculture investment. While we have Comagicrs Speakers Academy, this academy partnering with professionals in the field of communication (Public Speaking) provides professional training in effective communication and the art of Public speaking. As a graduate with Master Degree, why did you opt for Agriculture instead of other better office jobs? I didn’t just opted for agriculture today, I have been a farmer for some years now, during my secondary school days in Ansarudeen college Isolo, I was the agriculture prefect and I was groomed by my then agriculture teacher, Mr Ajifolokun, in various aspect of farming and since then I have been improving myself. Due to my passion for agriculture at the age of 19 I opted for a job of assistant farm manager at AGOF Piggery farm at Agege, Abattoir. Thus, farming has been part of me so, opting for other job is not really necessary. Though I compere events and do some small trainings for people. I just choose to be self-employed but to be honest it is not easy. Everyone especially the youths are looking for fast money but Agriculture does not bring quick money and is seasonal how do you plan to cope? Yes, I agree that agriculture is not an instant gratification you will have to wait. That’s why i laugh when I see people talking about agriculture as if it is so easy honestly it is a big misconception to say farming is easy in Nigeria. We still have a long way to go, we are yet to fully practice mechanized farming in Nigeria and if you are thinking of that, know it requires large capital. So, how I cope is simple with my background in communication and my knowledge in agriculture I organize trainings for interested groups or individual. How long have you been nursing the idea of agriculture or did you start it little and decided to take it further? We all know that there are various government policies on agriculture yet lots of farmers have not benefitted from the government how do you plan on overcoming this challenges? Yes, very large percentage of people that are not really farming are those that are really benefiting from what the Government has been postulating for the farmers in terms of grant and all. A lot of grass root farmers are not benefitting because of corruption they won’t let it cascade down to the original farmers. Surviving to get small loan from family and friends that will not request for your grandfather’s Land document. And also overcoming the challenges through our agriculture cooperative society. What area of agriculture are you really focusing on and why? 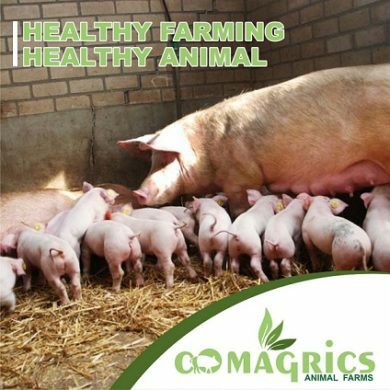 The area of agriculture I focusing on is the animal husbandry ( pig farming) this is because there is high demand for pork and the process of rearing them is not really ambiguous and due to my previous knowledge as an assistant farm manager. How do you plan to sustain it without seeking for government intervention? After my just concluded program with FATE foundation (Business school), I realized the need to build a system for the business for its sustainability thus, by partnering with individuals who has interest in animal husbandry business to invest and get return on investment very soon we would publish our different investment packages’ for pork business. 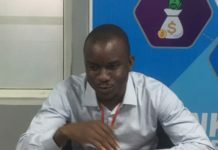 You recently launch a go-fund me where you seeked for donations in other to help you carry out a successful agricultural project, how has it been going? I will be sincere here, getting money from people is not very easy thank God I was not too expectant I would have terminated my friendship with some people. It’s funny but honestly I don’t blame them because crowd funding is not really prominent in Nigeria. And what I noticed was that many people think before you could help you most have to give thousand No! That’s not true, imagine all your facebook friends contribute #500 for your crowd funding that will go a long way. Imagine all your whatsapp contacts donate #500 for the crowd funding its means a lot. However, we are trying our best and a lot of good people are donating the little they could and I sincerely appreciate them. What area of agriculture do you wish to invest this money gotten into? The area of agriculture the money will be investing the money is the animal husbandry. Nothing much is just to create value. Maybe because I went for an event around festac town in Lagos some years ago and on the queue were some expatriate who were requesting for pork and the chef responded that they don’t have for now that it has been difficult for them to get it for sometimes now from there it stroked my mind that this is a prospective market. What is your advice to the youths scouting for office jobs? Well I will like to advice that for anything your have passion for commercialize it and be consistent about it sooner or later you will be celebrated when you become a celebrity. But always deli your gratification.